Already faced with flurry of protests from civil society on issues of corruption, bribery and black money, the UPA II has come under indictment with the Comptroller and Auditor General of India placing three reports in the Parliament. The major issues include Implementation of Public Private Partnership; IGI Airport that focuses the GMR Delhi Airport deal, working of Ultra Mega Power Projects under Special Purpose Vehicles and third is on Allocation of Coal Blocks and Augmentation of Coal Production. Cannes, which hosts one of the world's oldest film festivals, turns into a hip and happening global hub of the art, craft and business of the movies for ten days every May. It celebrates the entire spectrum of cinematic expression: from the big, star-studded studio films to the edgiest of boundary-pushing experiments to the exquisite work of celebrated celluloid poets. It is a festival India can ill afford to miss. Cannes is where the industry meets. 'Mother', the word itself feels heaven. She is one who brings you to the earth and gives us hope to live. She is one sells her dreams to you and buys your suffering for the fulfillment of your dreams. By not committing the sin of restricting the feeling to just one day, lets celebrate this Mother's day with a special touch and love. Under the sponsorship of the World Health Organization (WHO), World Health Day is celebrated every year on April 7 all across the globe. In 1948, the World Health Organization organised the First World Health Assembly. The Assembly decided to celebrate April 7 of each year, with effect from 1950, as the World Health Day. The World Health Day is held to mark WHO's founding, and is seen as an opportunity by the organization to draw worldwide attention to a subject of major importance to global health each year. Indian batting maestro Sachin Tendulkar scored his elusive 100th international ton on Friday, against Bangladesh in the fourth match of the Asia Cup here. What is it that brings women together? A fight for justice, equality, peace, development and a struggle to stand on equal footing with men. The International Women's Day celebrate this very faith and hope of women across the world. Its a time when stories of all women who fought and made a mark for themselves are remembered and issues that affect contemporary women are discussed and solutions sought at. This time around, March 8 holds special place in India since the day is being celebrated with the festival of colors, Holi. Let's hope this brings about more colors of satisfaction, freedom and happiness in the lives of women. Happy Women's Day! Valentine's Day is one of the most romantic days in a year. So it is natural that each one of us wishes to celebrate this day uniquely. But the question arises as to how to celebrate this wonderful day in a special way. Jaipur Literature Festival is the largest literary festival in Asia-Pacific, and the most prestigious celebration of national and international literature to be held in India. It encompasses a range of readings, talks, debates, performances, children�s workshops and interactive activities held in the beautiful heritage property. Assembly elections are going to be held in Uttar Pradesh, Uttarakhand, Punjab, Manipur and Goa. The elections will start from late January & the process will go on till the month of March 2012. A prestigious launchpad for the biggest names in the business, Auto Expo 2012 featuring sports cars, concept vehicles, custom bikes and more. Amitabh Bachchan, John Abraham and Katrina Kaif lent starpower to horsepower at Pragati Maidan, New Delhi. Around 1500 participants from 23 countries took part in the event. It shook an entire nation, leading to the dismissal of the union home minister. As mumbai nears the first anniversary of the ghastly attack, Mayank Singh seeks to find out if policy mandarins have managed to plug India's security loopholes. 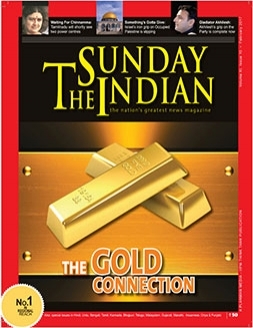 The Sunday Indian carried a contest about news that once occupied the headlines but were completely forgotten - both by the media and the public. To cite some examples, no one knows what Prince - the kid who fell in a tubewell bore in Kurukshetra is doing. There is little known about Nisha Sharma, the Noida resident who created a stir when the groom's side asked for dowry and she declined to get married to the groom. Also, what happened to Budhia from Orissa, the young marathon runner and also his coach. The media also erased from its memory the case of Anara Gupta, the woman who was accused of pornographic video. No one knows where she is and what she is doing. The festival opened on September 8 with the screening of 'From the Sky Down'. The assortment of India-centric stories couldn't be more diverse which included in Toronto�s line-up this year four films from as many different parts of the world but bound by their singular geographical focus. A South African-UK co-production marked the international debut of veteran Bangalore-based actress Jayashree Basavra, an Indo-Canadian sports film that revolves around an Indian boy's passion for Canada's national game, ice hockey, and an Indo-French film made in Bengali by a Sri Lankan director. It will be a classic case of 'friends turning into foes' when Mahendra Singh Dhoni's Chennai Super Kings (CSK) clash with Gautam Gambhir led Kolkata Knight Riders (KKR) in the opening match of the IPL on Friday, less than a week after the duo guided India to their historic World Cup triumph in Mumbai.